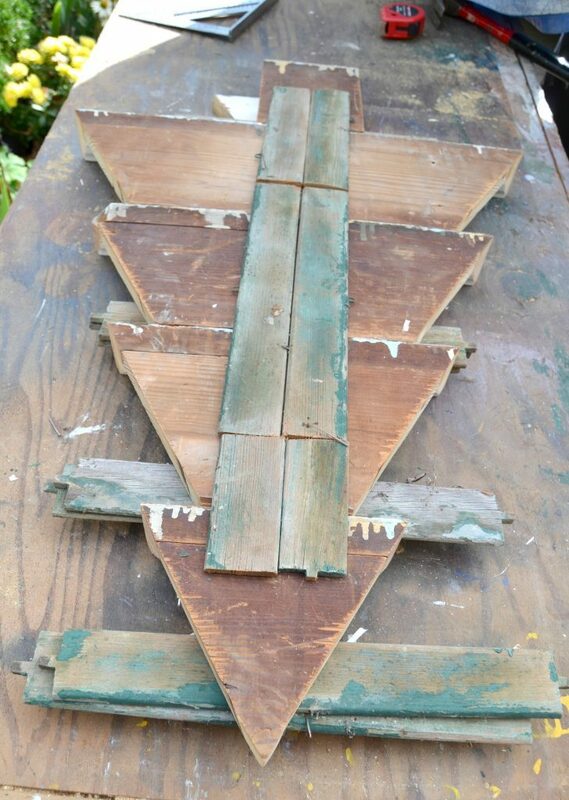 This DIY Rustic Wall Christmas Tree came about by chance. We had a huge yard sale in October and got the garage totally cleared out. I know! I know! I didn’t think it was possible either, but miracles do happen. As we were organizing the garage after the sale, I wanted to leave nothing un-turned. We went through everything. When we got to the scrap wood pile, I got rid of anything I knew we wouldn’t use. There was a lot of pieces to get rid of, but there were some great pieces in there that I had forgotten about. 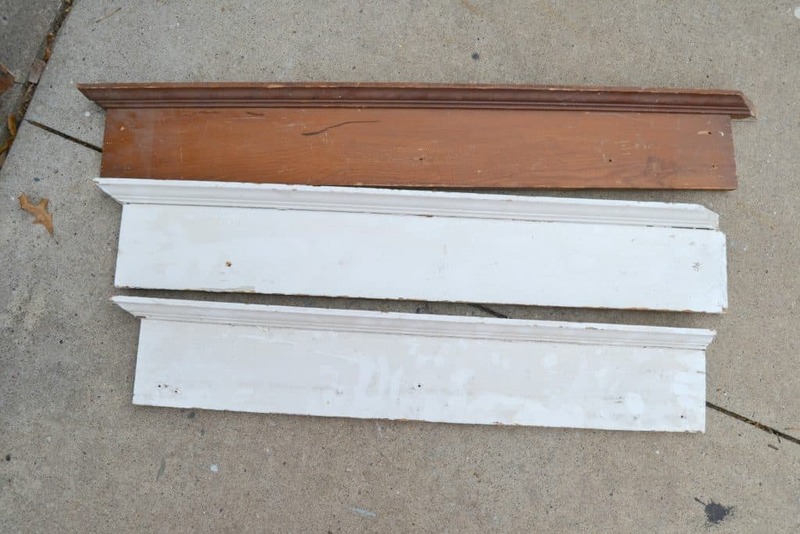 Like these door trim pieces. I couldn’t get rid of them because they had such great detail and had to be repurposed. 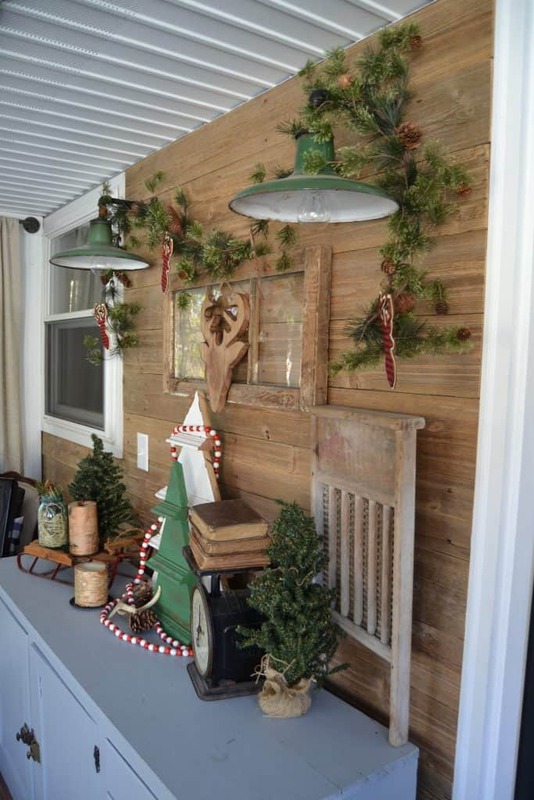 To turn the trim into a DIY Rustic Wall Christmas Tree , we had to decide on the measurements we wanted and what we actually had enough trim for. We were able to make a larger tree from the white trim and the natural wood trim was perfect for a smaller tree. Once we had the measurements, Matt used the Miter Saw to cut the trim to size and make the sides angled. 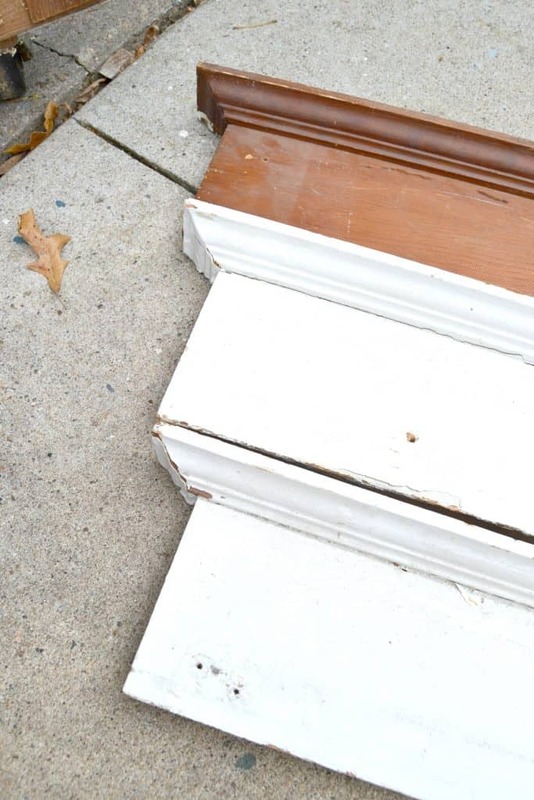 He used a nail gun and more scrap wood to attach the three pieces together. We had a trunk on the bigger tree to start with, but I decided to remove it so the tree would stand up better. 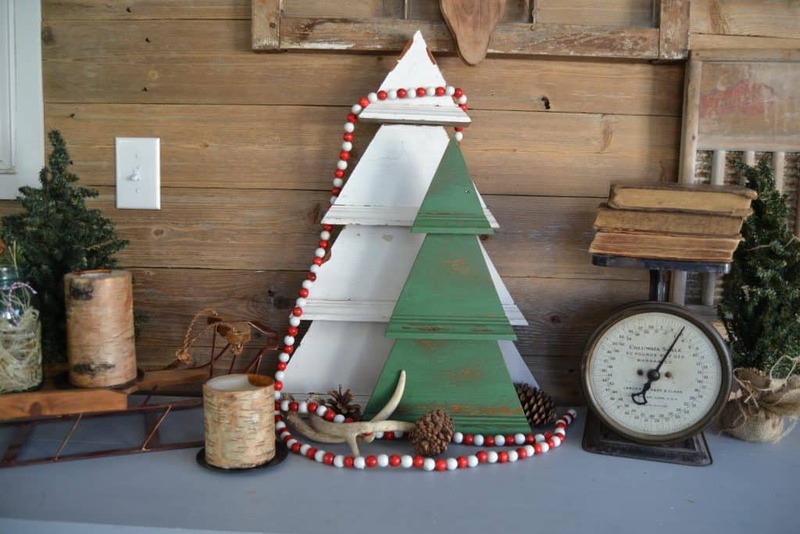 I left the white Christmas tree the way it was and painted the smaller tree in “Picket Fence” from Fusion Mineral Paint. You guys…… this green color is AH-MAZING! I have been searching for a green paint color like this for a long time! 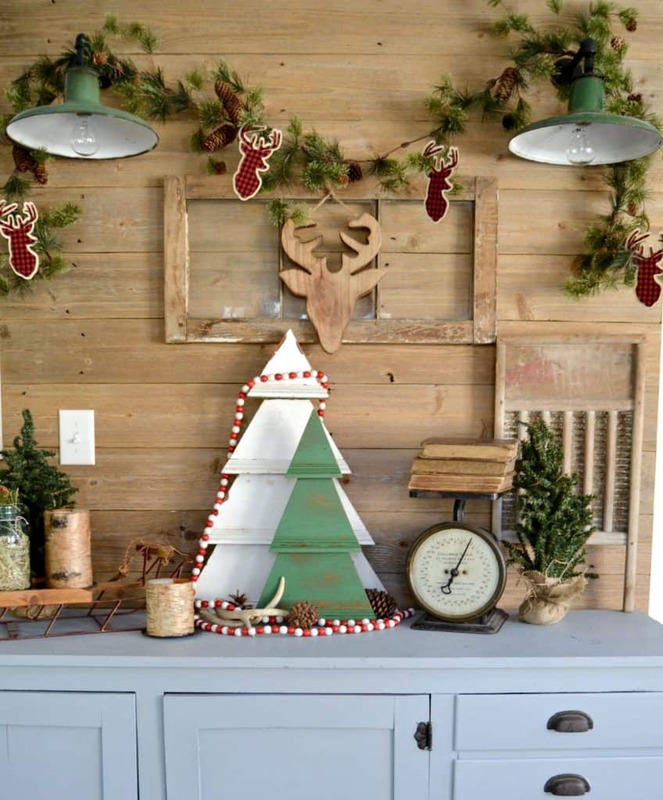 It reminds me of the country green color I love in old farmhouse pieces. It is close to the color of the barn lights we added to the back porch makeover. I distressed the green paint with my orbit sander to make it look aged. This was a quick project that used supplies we already had on hand. Some of the best projects come about when you don’t have it all planned out. 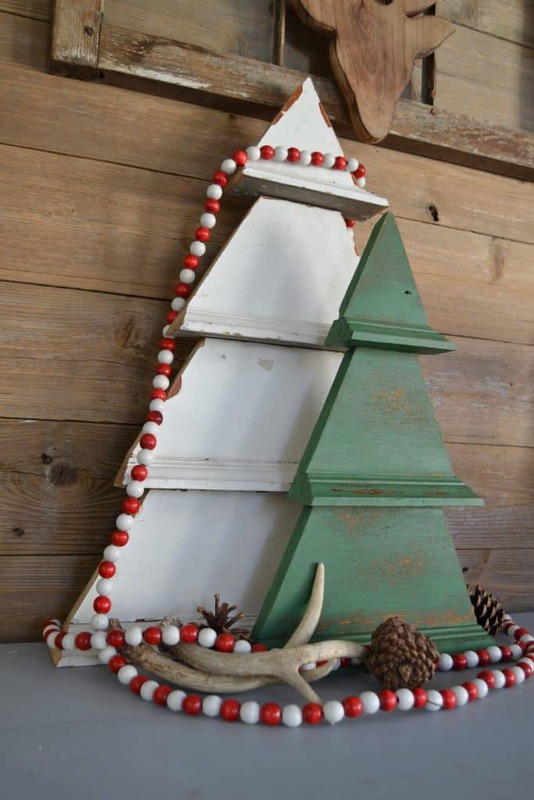 I thought it would be fun to add hooks underneath the ledge of the trim and you could hang little ornaments on these and make them an Advent calendar. You could make a DIY Rustic Wall Christmas Tree with any wood you have on hand. 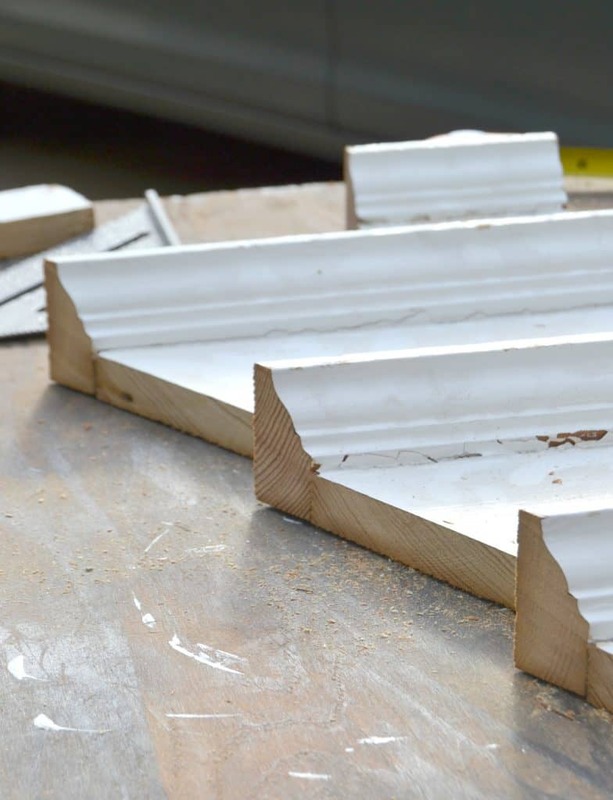 You don’t have to use trim pieces. I just liked the layered look it gave the trees. 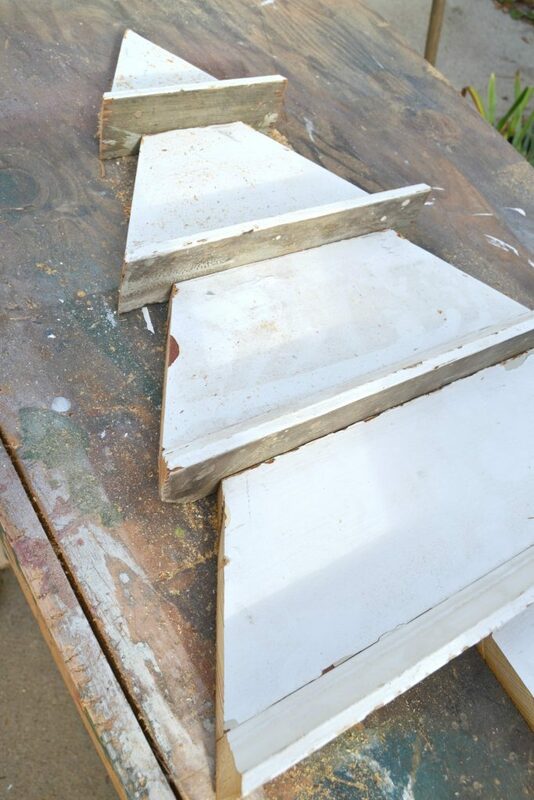 If you like the look of the trim pieces, check your local Restore to find something similar. 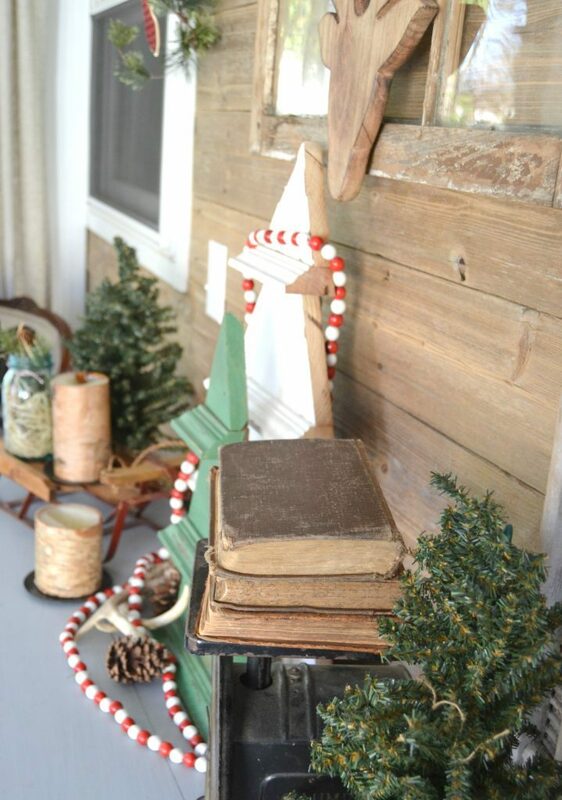 It is fun to add new things to the Christmas decor every year. New things inspire me and I can’t hold back from bringing it to fruition. 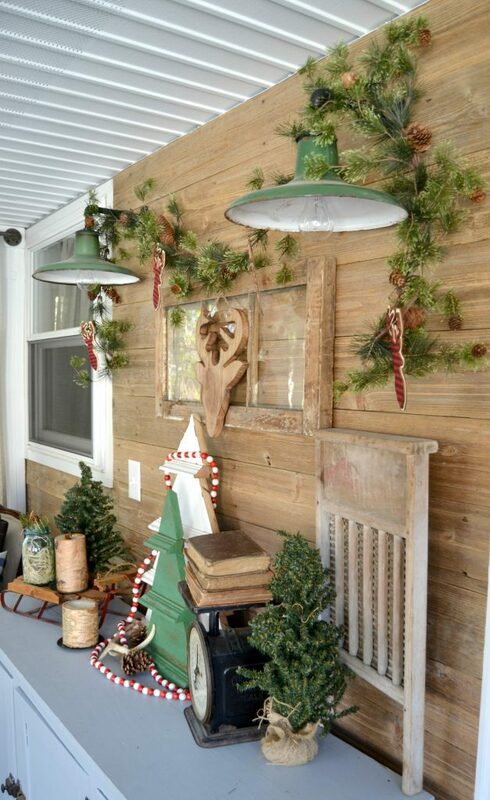 Do you have any new Christmas decor this year? What are you liking for your home this season? That green works perfectly with your fabulous lights. What a clever project! And your photos are fantastic! Love it all. Amazing! 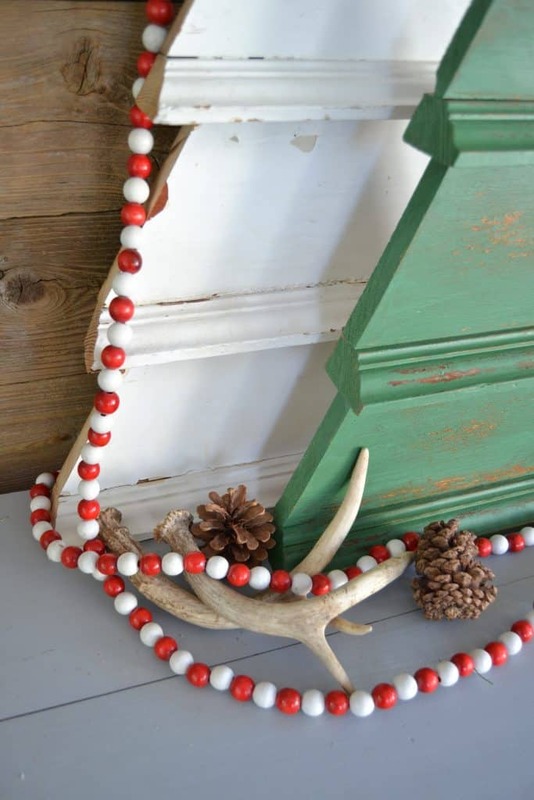 It is great for your porch decoration this Christmas. I’m so excited to make it.